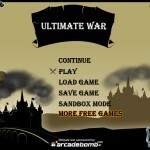 Strategy Upgrade Fantasy Arcade Bomb Click to find more games like this. 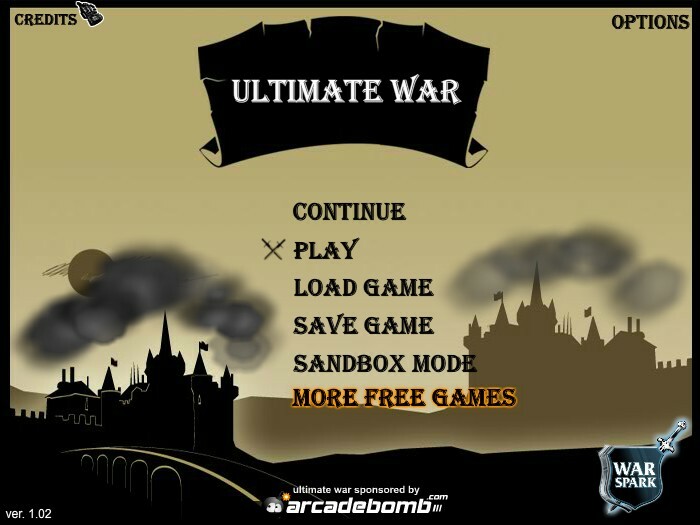 Your mission in this epic turn based strategy war game with real time battle scenes is to lead one race and defeat the other two enemy races. 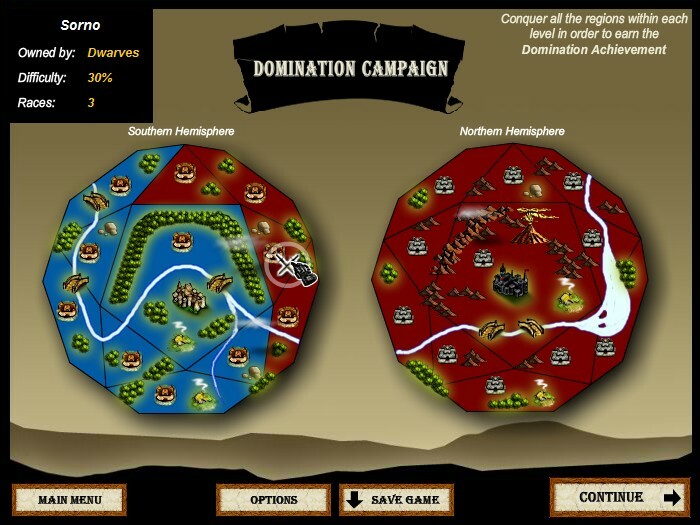 Choose between Humans, Orcs and Dwarves (each race has its own strengths and weaknesses) and have no mercy. Then build an army and annihilate the other races. 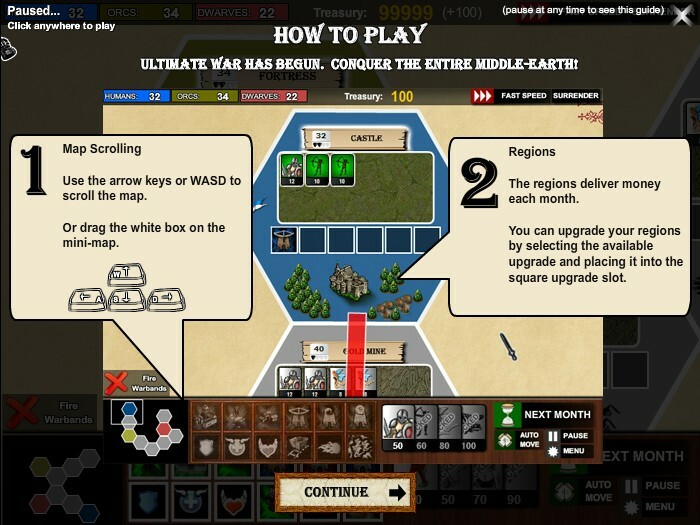 Use YOUR MOUSE to recruit, select, move and order your troops. 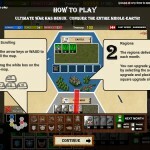 Click the buttons at the bottom of the game screen to construct towers, barracks and research buildings. 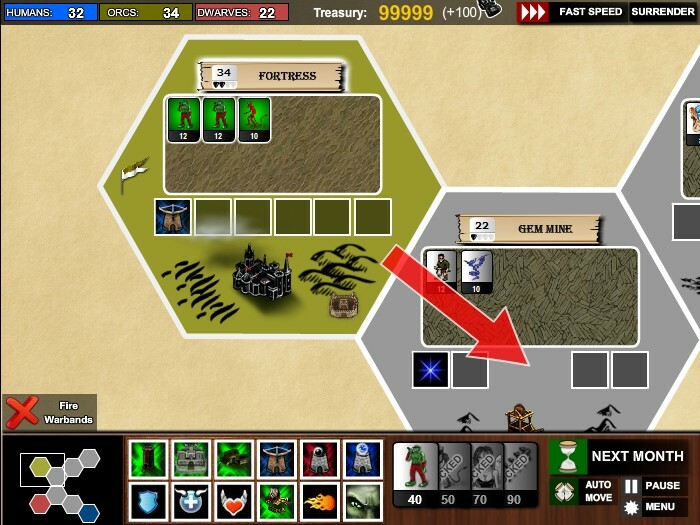 During battle scenes you can select units and order them to attack, hold or retreat. Good luck!